Australians have been slow to embrace electric vehicles (EVs) compared to drivers in the US, Europe and China. Car makers often put this down to ‘range anxiety’, caused by the relatively low number of EV charging stations in our country. Put simply, range anxiety is worrying that the car battery will die before reaching your destination and recharge point. In a country with a lot of long distance car travel, no-one wants to be left stranded. So we asked the experts: where exactly can you recharge a plug-in electric vehicle, how long does it take, and how far will it get you. And … are we being unnecessarily anxious? What’s the difference between a hybrid and a pure electric car? 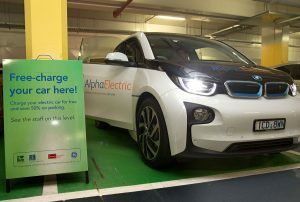 How do I find a public charging point? How much does it cost to recharge? Is it cheaper to run a petrol or electricity car? What range do I need?